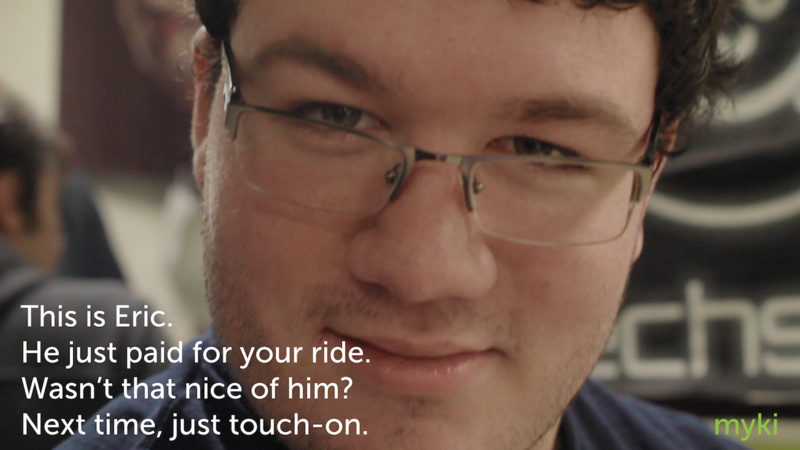 Update: The original version of this post had more pure criticism than constructive criticism. That helps no one in the long run. As a result, I’ve added some additional thoughts. In Melbourne, tram disruptions aren’t uncommon occurrences. We get about one per week. On Monday, 2 December I was unlucky as it was apparently route 96’s turn to be disrupted. Fair enough. I’d been through plenty of them already and knew the drill: divert down route 112, run about ten minutes late. However, that wasn’t the case this time on tram 5106, better known as one of the Bumblebees. It should have, but as I found out today, the driver was apparently told by operations to turn onto the light rail anyway. Now if you followed along on Twitter on Monday, yes, I am wrong for faulting the driver. I had originally heard the radio broadcast to drivers to take the 112 route as broadcasts come over the speaker in the driver’s cab. One-to-one talks, however, do not. So, after we turned on to the light rail, I rang the PTV number (1800 800 007) to see if shuttle trams were running as I knew from the @yarrtrams Twitter account we should not have turned onto the light rail because of a disabled tram and wire damage at St. Kilda Station. I also announced this (by literally shouting down the tram) information to the other passengers on the tram when we were held up at Casino for ten minutes with no explanation. Knowing that Casino is an area that frequently has issues, I opened Twitter to see what was going on. Given that the driver had said nothing and there was no automatic PA announcement, I’m going to assume I was the first person on the tram that knew what was going on. I received several “thank you”s for shouting the information. We (tram 5106) turned onto the light rail, ignoring the posted 112 diversion. At MSAC, I got off the tram as I knew it would be a ten minute walk to transfer to 112. As I got off, the driver did announce to transfer at the stop, which, yes, Yarra Trams, you did point out in your email. After the driver made the announcement that we would not be making it to St. Kilda Station as originally planned, the majority of the tram got off, and it was clear I was not the only pissed off passenger. 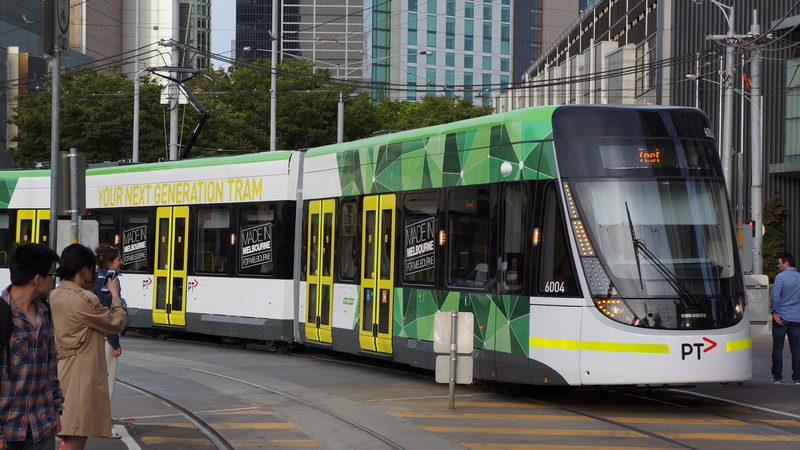 As was clarified in the email I received today, the plan was to shunt (turn around) the tram at St. Kilda Station as there is a track crossover that permits that. However, operations didn’t realize until after we turned on to the light rail that a Bumblebee would not fit at that crossover. Really? The Bumblebees are hardly new. The E-Class, yes, so I would excuse missing that if I were on an E-Class. But, I find it very hard to believe it took that long for someone to realize the Bumblebee wouldn’t fit. How in the world do you not know the restrictions on your own network? As a result, 5106 had to turn around at Middle Park, which also has a crossover, but with more room. Also, you (Yarra Trams) should know quite well that evening peak-hour hardly sees much of a ridership increase on the light rail: on average, 5-10 people at a stop, up from 2-3. So, I discredit your rational that “this was an attempt to service the stops along the light rail which would’ve had waiting passengers.” There is zero excuse for using a Bumblebee, the second highest capacity tram on the network, to serve a low ridership area. 5106 should have held at Casino for passengers who needed to get off at light rail station. 3535 or a similar tram should’ve been brought out from Southbank to serve as a 96a shuttle tram between Casino (or Port Junction) and Middle Park. If you check the cameras from 5106, you’ll see very clearly that the tram practically emptied at MSAC. 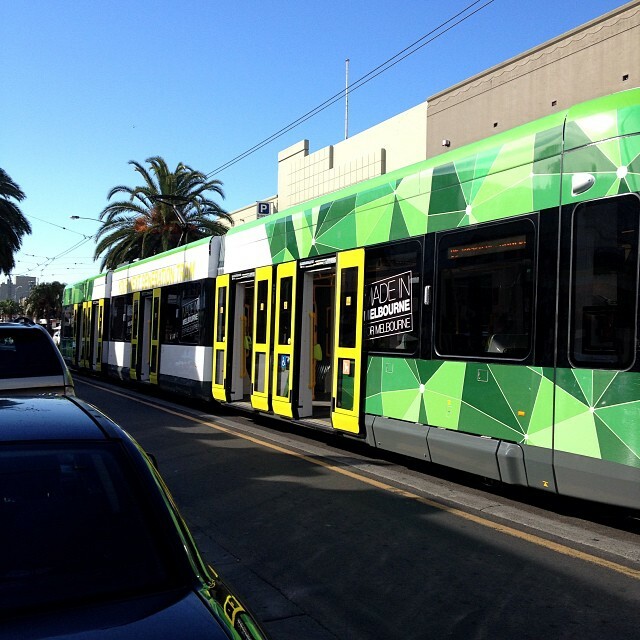 By the way, when I did make it into St. Kilda after transferring to a 112, there were many, many more waiting passengers in St. Kilda than on any of the stops on the light rail. This was especially true for Luna Park, which was at an unsafe amount of waiting passengers. By unsafe, I mean spilling onto the tracks. Those passengers had no clue about the disruption until I advised them to catch a route 16 and transfer to 112 at Park Street. Same at Belford Street. Barkly Street too. And you know why? Customer service was nowhere to be found. It took me an hour to get to St. Kilda from Casino. That’s more than enough time to dispatch staff to affected stations. So shame on you Yarra Trams. Monday’s actions were hardly in line with your value of “Think Like A Passenger.” This was the worst planning I’ve ever seen for handling a disruption on public transport. While I am still less than thrilled, I’m not planning to escalate the case, even though that is an open option. Previous post Picture Post: And here's the sunset. Next post Picture Post: Cloudy, but pleasant.